Known for their garden magic, this gnome might just share his secrets! 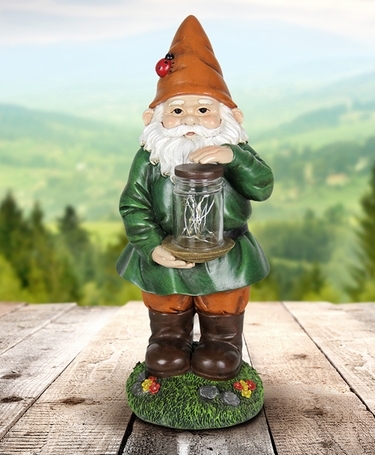 Holding a jar full of light-up fireflies, he makes an adorable addition to any home or garden! A string of 6 solar powered LED lights will illuminate in the jar at dusk bringing this adorable garden art to life! Size: 5" x 5.75" x 13"H.